The horse and buggies arrived early, carrying modestly dressed men, women, and children to a recreation center in eastern Indiana. Nearly 200 members of nearby Amish communities somberly entered the center, which had been turned into a makeshift medical clinic for two days in early May 2015. Their blood was drawn, echocardiograms were run to examine their hearts, and fasting blood sugar levels were measured. It took 7–8 hours to pass through each of the medical stations. 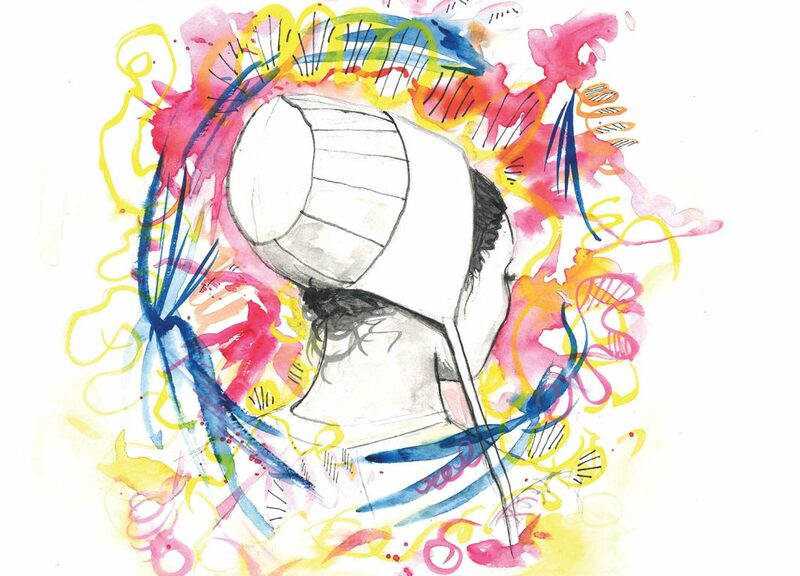 Douglas Vaughan, M.D., who was helping run the operation, characterized the medical marathon as intense, strenuous, and exciting, describing it as the most unusual experience he’s ever had. Dr. Vaughan, a cardiologist at Northwestern University, has spent his entire professional career studying a protein called plasminogen activator inhibitor type 1, or PAI-1. Because of a genetic fluke, an Amish woman who came that day lacks PAI-1 (pronounced pie-1), leaving her with a life-threatening blood-clotting disorder. In mice, in addition to being instrumental in proper blood clotting, PAI-1 seems to be involved in heart and lung function, metabolism, basic cellular activities, hair loss, and even aging. Dr. Vaughan wanted to evaluate whether PAI-1 is as powerful in people, which was why he recruited this particular woman and her kindred community members to the recreational center. The Amish woman in question is in her 30s now. She is married and planning for children. Dr. Vaughan first took interest in her case when she was 9 years old and the subject of a 1992 paper in the New England Journal of Medicine. Her troubles first began when she was 3 and got a bump on her head that led to surgery and uncontrolled bleeding. But her blood-clotting disease didn’t fit the typical pattern. She couldn’t have hemophilia, which almost exclusively affects boys, and causes the kind of joint and muscle bleeds she’d never had. Her symptoms didn’t fit other well-known blood disorders, either. Amy Shapiro, M.D., a pediatric hematologist, went to visit the girl. She conducted an examination and took a blood sample. After initially chasing several dead ends, Dr. Shapiro convinced a colleague to scan for a mutation on the girl’s SERPINE1 gene, which when defective, is believed to cause PAI-1 deficiency and, potentially, clotting problems. Dr. Shapiro told GEN that her colleague doubted the Amish girl had the uncommon mutation. In fact, Dr. Shapiro had to hound her colleague to actually run the test. But the test confirmed the genetic deficiency; there was a mutation in the girl’s SERPINE1 gene, which prevented the proper production of the protein PAI-1. Armed with the knowledge that sometimes people in Amish communities marry their distant relatives, Dr. Shapiro tested and found a handful of other individuals in the Berne, Indiana community with the same unusual bleeding condition and complete PAI-1 deficiency. By this point, PAI-1 had already been beguiling Dr. Vaughan for several years. By the early 1990s, Dr. Vaughan had already confirmed that PAI-1 could be involved in cardiovascular disease. And Dr. Shapiro’s research on the Amish girl made him realize the protein probably played a role in blood clotting, too. Further research showed that PAI-1 is also involved in what’s called cellular senescence. When a cell undergoes damage, it may self-destruct, or it may go into senescence, essentially going to sleep. This helps to slow the development of cancer in young people—when a cell is multiplying too fast, the body puts it on pause to prevent uncontrolled growth. But as these senescent cells build up in the body over time, they play, scientists believe, a key role in many of the diseases of aging. “We connected those intellectual dots between PAI-1 and senescence, and between senescence and aging,” Dr. Vaughan said of his lab’s work. About 15 years ago, Dr. Vaughan also noticed that mice bred to have too much PAI-1 seemed “older” than they should. They were born bald and never grew hair. “They don’t quite look right,” he added. To test this link between PAI-1 and aging, he bred mice deficient in PAI-1 with mice that age rapidly. Among the offspring, lower levels of PAI-1 appeared to provide protection against rapid aging, Dr. Vaughan found. This work on mice left him with a question: If such relatively low levels of PAI-1 could slow biological decline in mice, could it do the same thing in people? The Amish group studied by Dr. Shapiro offered a real-world testing ground. The woman affected by the blood disorder inherited two mutated copies of the SERPINE1 gene—one from each parent—which led to the complete absence of PAI-1. Family members with just one changed copy of the gene did not have the bleeding disorder. In a typical population, two people with such SERPINE1 changes are not likely to meet and marry. But among the Amish, the small size of the community increases the odds of such double mutations. Drs. Shapiro and Vaughan published the results of their findings from the Berne community members in November 2017 in the journal Science Advances, confirming that 12 of the kindred carried the dangerous double mutations. Unexpectedly, not all of them had blood-clotting disorders. One young man in his early 30s was found to have a type of heart disease caused by scarring from an excess of fibrous tissue built up in his heart. Unfortunately, his disease was too far along by then. The man died in the Winter of 2017 at age 34. Prior to his death, fibrotic heart disease had been described in PAI-1-deficient mice, but had never before been linked to mutations in PAI-1. The researchers are now checking other members of the Amish community for similar heart problems, said Sweta Gupta, M.D., a paper coauthor and colleague of Dr. Shapiro’s at the Indiana Hemophilia & Thrombosis Center. She, Dr. Shapiro, and their colleagues are also working on finding drug therapies to help affected community members manage fibrotic heart disease associated with the mutation. During that 2015 medical marathon, the researchers also tested more than 43 of the eastern Indiana kindred (out of as many as nearly 400) who have just one mutated SERPINE1 gene—inherited from one parent, but not both. They have lower levels of PAI-1—approximately half of the typical amount in people who have two normal genes. People with sickle-cell disease inherit two defective genes—one from each parent. They suffer from terrible pain and often die at a young age. But people who inherit just one copy of the defective gene seem to have a survival advantage. In studies looking at people living in malaria-infested countries, where the gene is much more common, people with one defective gene seem to be able to survive the disease better than people without any defective copies of the gene. Paralleling this phenomenon, Amish people with only one defective copy of the SERPINE1 gene also seem to gain an advantage from their low levels of PAI-1: They live an average of 10 years longer than their more typical cousins. They don’t get diabetes at the same rate as others in their community. Or heart disease. Dr. Vaughan’s results in mice predicted this genetic advantage. His lab’s findings made him wonder whether turning down PAI-1 in an aging adult could help counter senescence and reduce some of the effects of aging. “If we could lower PAI-1 by 50%, that should be safe from a bleeding perspective, and might provide some therapeutic benefit to people in a number of ways,” he suggested. He and his team are developing a drug that partially inhibits PAI-1, now called TM5614, owned by Japanese company Renascience. While the absence of the protein can cause health problems, the team’s work in animals suggests that a reduction in PAI-1 might be beneficial. It’s way too early to know whether the investigational drug—in which Dr. Vaughan has no financial stake—could help people. It’s been tested 160 healthy people in Japan, none of whom suffered any serious side-effects. Dr. Vaughan has higher hopes for the drug’s reach beyond the restoration of hair follicles, however. Renascience plans to test TM5614 as a supportive therapy in the treatment of cancer, to be administered in conjunction with standard chemotherapy. The thought is that it may be more effective than current treatments for stimulating the production of new blood cells following chemotherapy. Pulmonary fibrosis—a scarring of the lungs similar to the hardening of the heart suffered by the young Amish man—may also be connected to PAI-1, Dr. Vaughan speculates, and these patients may also benefit from the drug. Plus, lowered PAI-1 levels are associated with vascular age. Studies in mice suggest PAI-1 may be involved in Alzheimer’s pathology, and other research on the Amish show that the protein plays a role in insulin sensitivity and, therefore, diabetes risk. “We think the drug might improve insulin sensitivity and prevent people with prediabetic syndromes or obesity from developing full-blown diabetes,” he stated. Daniel Lawrence, Ph.D., a professor of cardiovascular medicine at the University of Michigan, has been studying PAI-1 for nearly three decades, praised Dr. Vaughan for recognizing the importance of the “unique resource” the Amish kindred provides. Dr. Lawrence is developing a partial PAI-1-inhibitor to treat fibrotic diseases such as systemic sclerosis. He expects to start Phase I testing of the drug in the United States in early 2019, with Phase II scheduled to commence shortly thereafter. The research on the Amish group helps confirm the safety of reducing PAI-1 levels, Dr. Lawrence reasons, and makes him more comfortable proceeding with his own studies. The association observed for members of the Amish kindred—many members with low levels of PAI-1 not only survive but also thrive—suggests that treatments based on reducing PAI-1 will be safe and perhaps beneficial, he hypothesizes. But not everyone is so exuberant about PAI-1’s potential—or even that the findings reported thus far are totally valid. Despite their commendable effort, Dr. Vaughan and colleagues have still only examined approximately 40 people with one defective copy of the gene, said another researcher who studies the Amish, Alan R. Shuldiner, M.D., a vice president at the Regeneron Genetics Center in Tarrytown, NY, which is building one of the world’s largest genetics databases. “People who are related share a lot of things, not just the PAI-1 mutation,” including similar lifestyles, maintained Dr. Shuldiner, who is also a professor of medicine at the University of Maryland, director of the Program in Personalized Medicine, and associate dean and director of the Clinical Translation Sciences Institute. Dr. Shuldiner has studied more than 6,000 Amish people in the Lancaster, PA, area—a different kindred from the one in Indiana. The people in the Pennsylvania-based Amish group don’t carry the same SERPINE1 mutation as the Indiana cluster—but the community in PA does have a coincidental mutation affecting PAI-1, and the mutation is similar enough that it’s probably worth exploring collaboratively, he commented. “I think it’s one of these strange things. 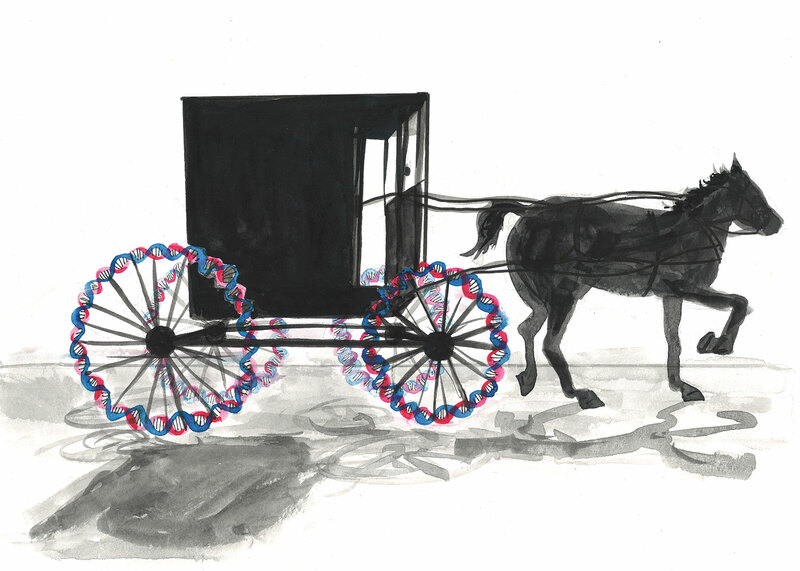 Why these two Amish populations who are relatively independent of each other have two different mutations in this one gene—I have no other explanation for that other than chance,” Dr. Shuldiner said. Another concern about PAI-1 among researchers: aging is far too complex a process to be explained by the function of just one protein alone. Also, Dr. van Deursen, a founding member of Unity Biotechnology, a San Francisco company that addresses diseases of aging, says that inhibiting PAI-1 with a drug may not be as effective as having genetically reduced levels of the protein. Any drug would have to reduce PAI-1 by just the right amount, but not too much, and it would probably have to be taken daily and indefinitely, Dr. van Deursen pointed out. Dr. Vaughan is optimistic about TM5614, in part because other similar anti-aging drugs also in preliminary testing stages seem to be having analogous benefits. “I think we’re likely to have a variety of supplements or drugs that actually might not necessarily make us live [far] longer, but might compress our aging-related morbidities and allow us to live healthier lives a little bit longer,” he said. If the drug does end up benefitting people, Dr. Vaughan said, it will be to the credit of the Amish who volunteered their time over those two spring days in 2015.